How can Street View | Trusted help my business? Panotour Australia are authorized Google Street View | Trusted Photographers. Google Street View technology allows customers to see inside your business. 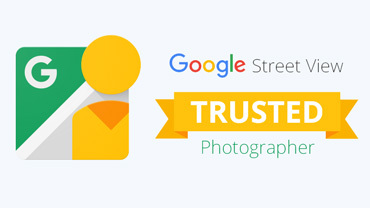 Now rapidly approaching 250,000 businesses, Google Street View | Trusted has helped local businesses like yours to display their business’ interior, enhance their listings on Google searches, and gain the trust of potential customers by showing them the inside of their business. Businesses everywhere are enjoying higher visibility and increased revenues simply by adding their very own 360 degree Google virtual tour. What is Street View | Trusted? Millions of people use Google each and every day to decide where to eat, where to shop, where to play, and where to stay. Now, when they search for you, or what you sell, or the food you serve, or the services you provide, they’ll see a special “SEE INSIDE!” window next to YOUR name on Google Maps & search results, setting you apart from the competition and engaging them at the exact moment they’re looking for a place to go. 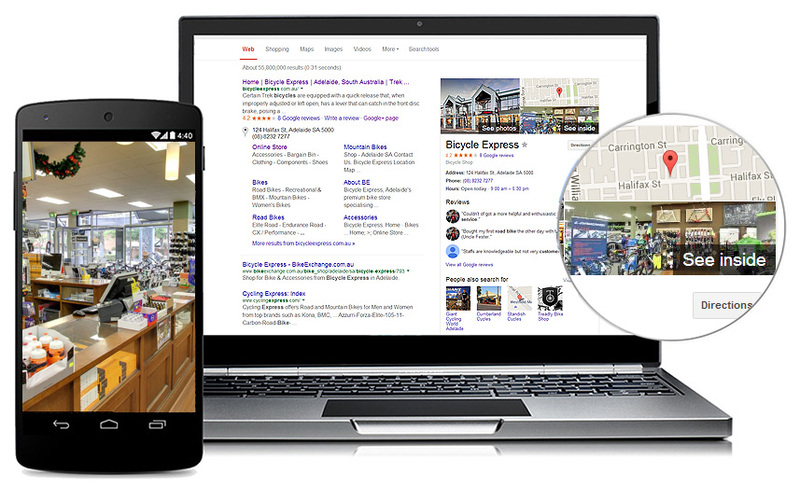 You can also Tweet your Google virtual tour, post it on Facebook, and view it on any computer, smartphone or tablet, so it will always be bringing you new business. current view of your building’s exterior. Why Google Street View | Trusted? Using Google’s Street View technology, we take high quality 360° panoramic photographs creating a virtual tour of the inside of your business, giving customers an amazing online, interactive view of your business. The virtual tour will appear on Google search results, Google Maps and Google+ Local, your own website and/or social media 24/7. Have an edge over your competitors. Once we have taken the panoramic and point of interest photos we ensure a professional and appealing view for your customers to see online. The photos are quality checked by Google. We then post them online to your Google Places page and optimise its layout. Your virtual tour and photos will appear on Google and your own website and/or social media as you like. Fact: 80+% of purchasing research begins on the internet. Google Street View | Trusted allows consumers the ability to check out your interior and become familiar and engaged with you when it counts – when they are looking for what YOU sell, what YOU serve, what YOU do. Hotels, restaurants, retail stores, churches, businesses of all types benefit from this amazing technology… and so will you. Panotour Australia can provide a high quality interactive walk-through of your property or business. Let your customers immerse themselves with the best you have to offer. 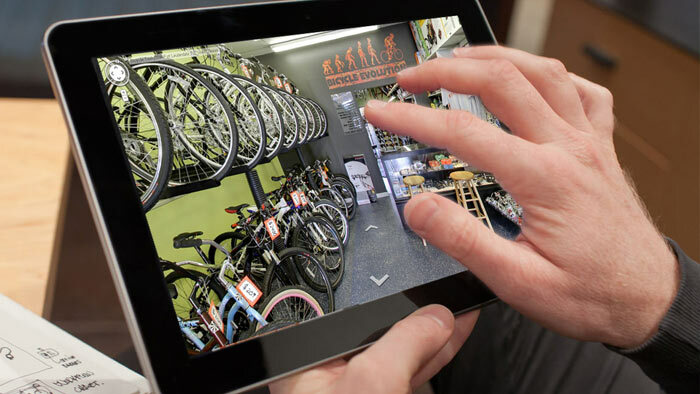 Convert your business into a virtual store, the ultimate tool to showcase your business. Panotour Australia creates business listings in Google Maps for all to see along with a Google+ Local page. Show off your decor, ambiance, unique qualities, products and brand to the world. With 360° interactive panoramas you give your potential clients a way to interact with your space, to not only see it, but to experience it in a way not possible with regular photographs. Whatever your business is, if your image, look and feel of your location is critical to your business, then letting your potential clients interact with your property before they get there is a sure fire way to make them feel comfortable and confident about booking! Panotour Australia helps accomplish that level of engagement for you, and they do it while making your business look incredible! Panotour Australia are now part of the Google Street View | Trusted Photographer Program, this means that we can photograph your business and place a virtual tour of it into Street View, Google Maps and Google Places! 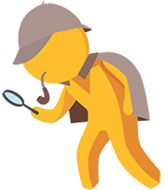 Google’s research shows that 97% of consumers search for local business online. 73% of all online activity is related to local content. Your Google+ Local Places Page are free, and are always promoting you! Panotour Australia will also take commercial photos to capture the interior and points of interest within your premises. All of this material is then uploaded to Google for inclusion on Google Search, Google Places and Google maps. Once it is there, it can very easily be embedded into your website and facebook! Businesses pay Panotour Australia directly. There are no fees to Google, they even host the 360 degree virtual tours and images free! Give Panotour Australia a call on 0424480186 or email: panotouraustralia@gmail.com for an obligation free quote. Not only will these images appear on Google searches, Google Maps and Google Places, but you can easily embed these images on your own website, social media pages and more!